Sometimes the fitness professionals tell me that their bootcamps and personal training businesses are suffering. Business is dropping off. Competition is getting tighter. And they don’t feel like they can compete based on price any more. Does any of this sound familiar to you? If so, here’s the good news: you don’t have to compete based on price. But you do have to compete. You can’t just putz along as a “me too” or clone business and expect to be a success. You see, what’s missing from a lot of fitness professionals’ marketing plan is a USP ( unique selling proposition)… or FUSP in you’re in the fitness industry. This is a succinct statement that tells your prospective clients and boot campers why you’re different and better than the competition. It gives your prospects a good reason to choose you rather than your competitor. And it gives you a foundation around which to build your business and create your marketing materials. Let’s take the example of 24/7 Fitness. Their USP is right in their name, where they tell people that the gyms are open 24 hours a day, seven days a week. Talk about convenient! That’s a great unique selling proposition to bring busy people into the door. Let’s take the example of another gym, Curves. Their whole business is based around their USP, which is that they offer a weight loss program for women. This really appealed to women who preferred to work out in a gym inhabited by other women. Those are just two examples. However, just about every major successful business in the world has a unique selling proposition. And if you want to be successful too, then you need to be able to tell your clients why they should choose you. Step 1: Figure out what your clients what. Ask yourself, what benefits are your prospective clients seeking? Also, what voids or gaps exist in the marketplace? NOTE: It’s usually a good to create a USP around a void or gap in the market. Curves gym was one such example, because when they launched there were very few “women only” solutions. Step 2: Figure out what makes your business unique. In other words, ask yourself: what can you provide that no one else can? Pricing, either low or “upscale” pricing. Offering boot camps or services at times or on days when no one else does. Offering small bootcamps, which allows campers to enjoy more personal attention. Offering value-added services such as nutrition counseling. Creating unique bootcamps. Again, the idea here is to offer something no one else is offering. One idea is to take advantage of fitness trends. So if kickboxing is really popular, you might offer a bootcamp that incorporates kickboxing. 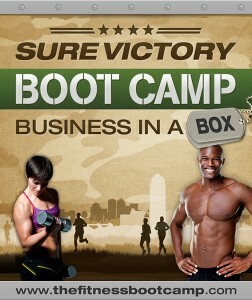 Bootcamps designed for specific target markets. For example, maybe no one is doing bootcamps for athletes in your area. Bootcamps in unique locations (like on the beach). Your unusual qualifications, such as fitness certifications that make you uniquely qualified to offer personal training or boot camps. Perhaps you were the first to offer something in your area, making you the “original” (and best, in your prospect’s eyes). Step 3: Figure out where Step 1 and Step 2 overlap. Specifically, what do you do that’s unique… but it’s also something your clients really want? Anywhere you see overlap is a potential unique selling proposition. Step 4: Condense your USP into a succinct marketing message. Now you know what benefit you’d like to position as your unique selling proposition. Your next step is to condense it down to one short sentence, something that you can easily advertise on your website, flyers or even your business cards. The bottom line here is that your business is going to suffer if you’re just running a clone of someone else’s business. If you don’t give your prospective clients a reason to choose your business, you can bet they’re not going to sit around thinking up a good reason to choose you. So do them and your business a favor by differentiating yourself with a good unique selling proposition.